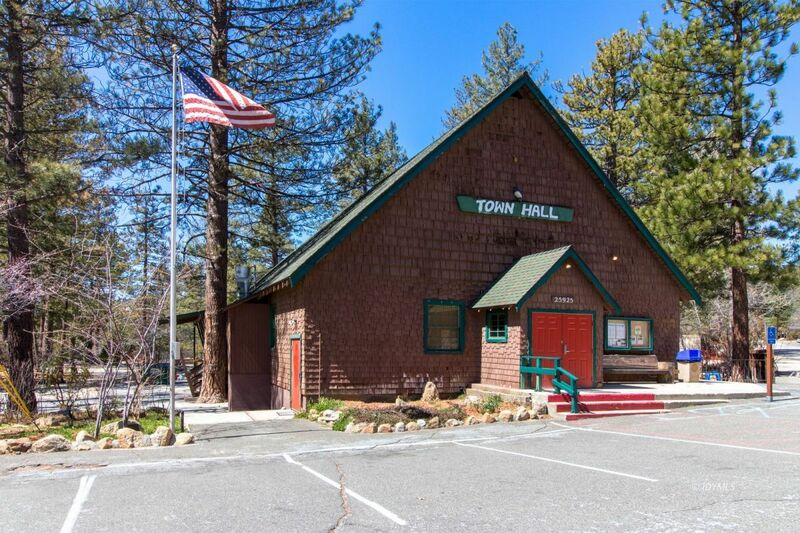 The Town Hall was built in 1946.. Used for recreation, the site is zoned R3A Multi-use but shows Commercial for the present owners, Buyer to satisfy use... suggestions included a BnB, Senior retreat, Small motel...Chamber of Commerce / Town Hall for the commercial community of Idyllwild. ,. it is on Sewer. Main bldg is 2- story. w/attic, approx 4000 sf, cook 'shack' for outdoor events.. Storage building, Est a 3/4 ac lot on Cedar St. in center of Idyllwild, Ready to hear all offers.